No camping trip is complete without this Kingsport Ultra Lite travel trailer! 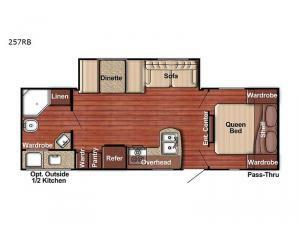 With its large rear bathroom and queen-size bed in the front private bedroom, this trailer proves to be an important asset to anyone looking for a comfortable camping experience. 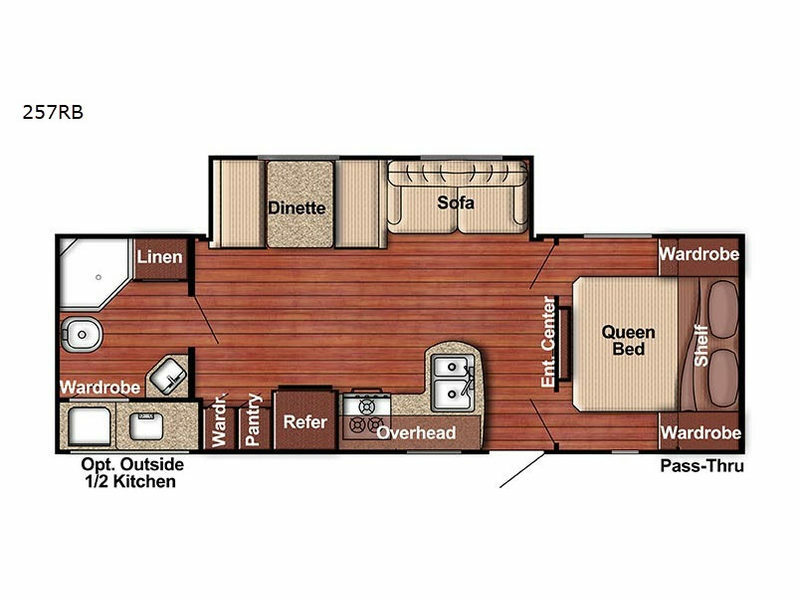 Because of additional interior living space from the single slide, there is plenty of room to move about freely as you whip up a batch of pancakes on the 3-burner range or wash dishes in the double sink, and the booth dinette is a great spot to gather together for a late-night snack as you play a round of cards.